• Variable-depth grooves milled directly on the clubface. • Deeper grooves in the center are shallower closer to the heel and toe, this equalizes ball speeds across the entire face for very consistent distance control. 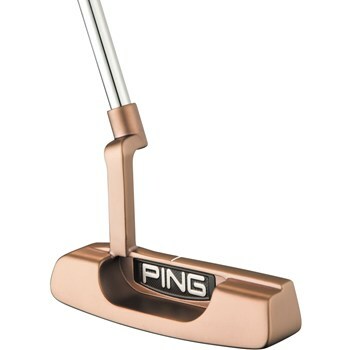 • Rich copper PVD finish provides a distinctive look. • Slight Arc stroke type with a plumber neck hosel.